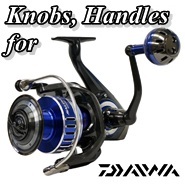 PBM Fishing offers all kinds of Ultimate Jigging Reel Knobs, Handle and T Bars for most popular brand name reel models (Shimano, Daiwa, Accurate, Avet... and so on) free installation. 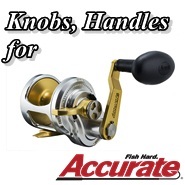 In order to well serve our valuable customers, once you purchase any Ultimate Jigging Knob or Handle or T Bar at $60.00 or up with us, we offer Free Installation your purchased products to your reels. 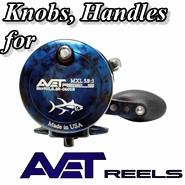 To purchase Ultimate Jigging Knobs, Handles or T Bars at or over $60.00 with our web store. After you placed order, before we sending out your package, please inform us that you want to adopt the “Free Installation” service. Once the installation is done, we will send back the installed arm to you. 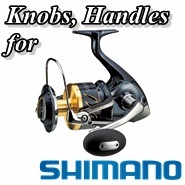 In the mean time, we only install Ultimate Jigging products on all kind models of Shimano, Daiwa and Avet reels for purchasers. For US purchasers, after installation, we will send back your installed arms at our cost; however, for international customers, we may charge you the shipping fee before we send back your installed arms. 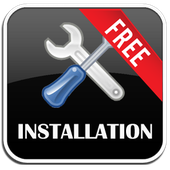 We may charge "Handling Fee" ($10.00) for this Installation service, once your purchase is less than $60.00. Any concern or question, please kindly email us at info@pbmfishing.com to consult.